My memory will forever retain the smell of wallpaper-sample books. Between my grandmother (a real-estate agent until retiring at age 84 last year) and my mom (an interior designer for 30-plus years), I have spent my whole life in the crossfire of conversations about doors, drapes, windows, paint, and furniture. As a kid, I used to roll my eyes a lot, but now I thank my lucky stars for the free advice. My mom did a lot of drafting by hand back in the day. She’s an artist, so she has the patience for painstaking detail. But she’s also a modern woman who loves her iPad and the technological advances that make her job easier. To that end, Autodesk has a couple free apps that interior designers will likely find very useful: AutoCAD 360 and Homestyler. The AutoCAD 360 mobile and web apps allow you to view, edit, and share CAD drawings almost anytime and anywhere. If you’re an interior designer, that means you can take measurements of a client’s home, create a design in your office, meet your client in the room(s) to be remodeled, show them your drawing on an iPad or other tablet, and make changes on the fly. Meanwhile, the Homestyler visualization tool helps you easily illustrate the interior of a space. Just take a picture of the room you want to design and place 3D models of furniture, fixtures, rugs, paintings and other furnishings into a space before you finalize ideas. Or design from scratch: Lay out your plan by dragging and dropping rooms, doors, windows, and products. You can add in details based on 40,000 real-world interior product, finish, color, and size combinations. Are you an interior designer working on remodeling projects or a homeowner thinking about redoing a room in your house? 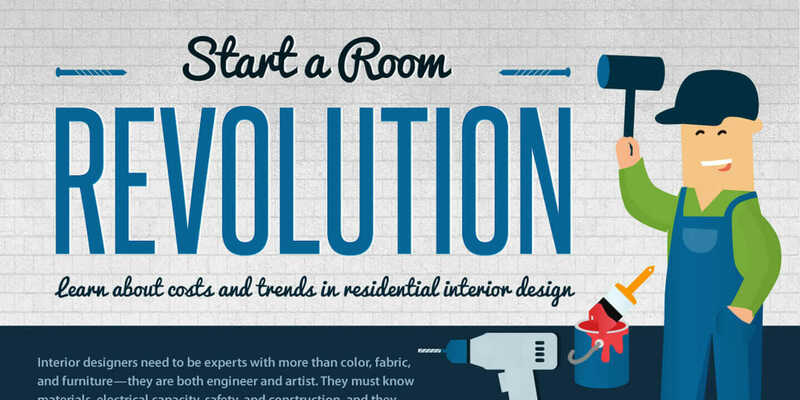 We put together this short infographic to help you consider the costs and current trends of remodeling projects. Check it out. Tell us: Are you working on a cool interior-design project and trying something you’ve never done before? What trends are you seeing in the interior design world?